The Royal Australian Air Force base at Butterworth was Australia’s largest and most enduring overseas military garrison in post-war Southeast Asia. Home to the majority of Australian airpower for over three decades, Butterworth was also home to a vibrant Australian community. From 1955 until 1988, spanning the end of the British Empire and the start of the Cold War through to real engagement with Asia, more than 50,000 Australian servicemen and their families rotated through the Penang region of Malaysia for two-year tours of duty. These men, women and children lived full lives during their deployment, a bastion of Australianness in the midst of Malays, Chinese and Indians. 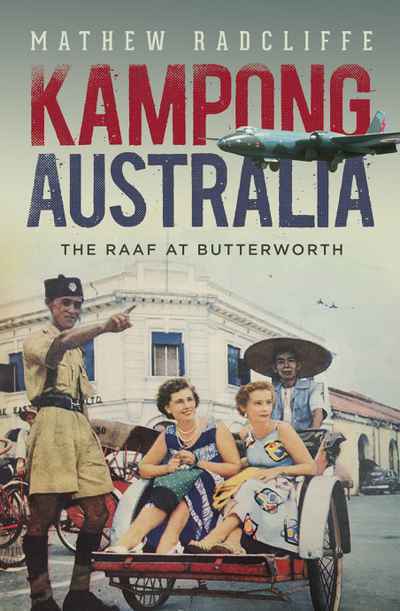 Kampong Australia explores the complex political genesis of the RAAF presence at Butterworth and shows what everyday life on and around the base was like. It charts the official policies and practices that framed the Australian encounter with the people and places of Penang, drawing on the recollections of those who were there. This evocative and – at times personal – book shines a light on the complex, uneven and dynamic history of the Australian military presence in northern Malaysia and shows what it was like to be there.